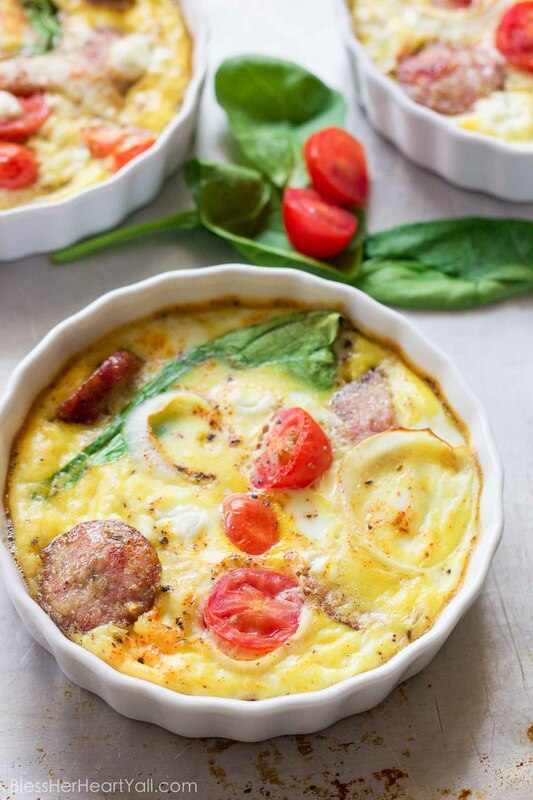 This gluten-free protein packed goat cheese egg bake combines the protein punch of fresh eggs, spinach, and breakfast sausage, with the flavors of creamy goat cheese, tomatoes and a few sweet onion slices for one amazing baked breakfast to fuel your morning right! It’s tough getting up in the mornings. Days are jammed packed right now with work, and nights are packed with moving into our new house (well new to us at least!) and family time. So sleep is scarce and waking up is even harder (thanks Daylight Savings Time!) to find the strength to muster (first world probs I know!). BUT… I have found a solution to my problem. Deciding to make this protein packed goat cheese egg bake before my feet even hit the floor, makes moving my feet from under those warm covers even easier than I thought possible! 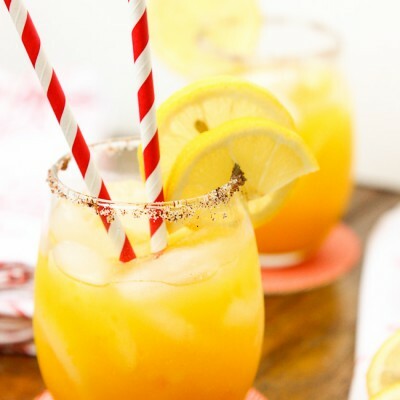 Now getting up at the crack of dawn is a little bit easier when I know that these little treats are on their way to my kitchen table (which is still halfway covered in packing paper and moving box tape!)! 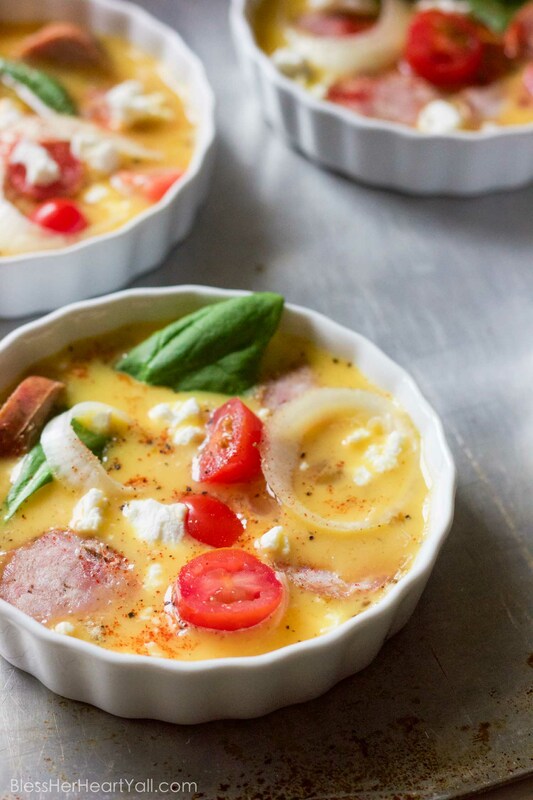 This protein packed goat cheese egg bake recipe is pretty darn simple. 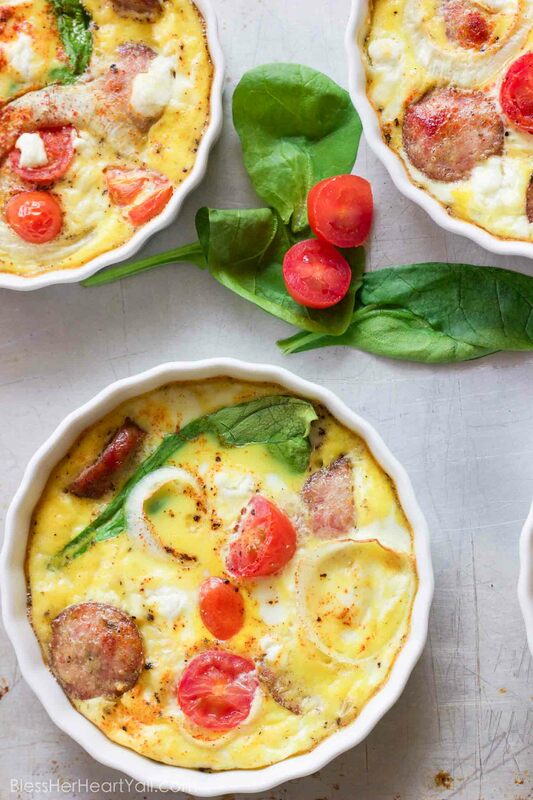 Add in your protein toppings, like your spinach and breakfast meat, to your ramekins (or use a muffin tin! ), then sprinkle with goat cheese and fresh veggie slices before pouring in the egg and milk combination. Then bake those cute little dishes and boom! 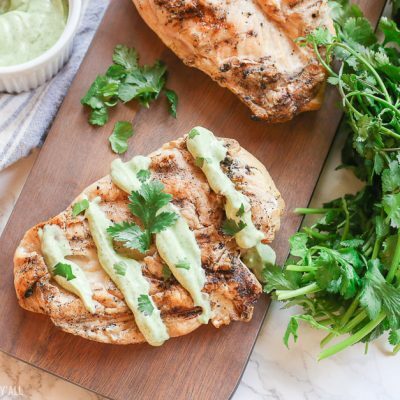 Before you are done getting ready for the day you have a brunch-worthy, drool-worthy, protein-packed breakfast waiting for you! 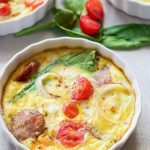 And if you are on the go in the morning, check out A Mindful Mom’s Baked Ham and Eggs Cups that you can take with you for those busy mornings! Rub the butter (or oil) on the inside of each ramekin for easy cleanup later on. Mix the beaten eggs, milk, black pepper, and garlic salt together and set aside. 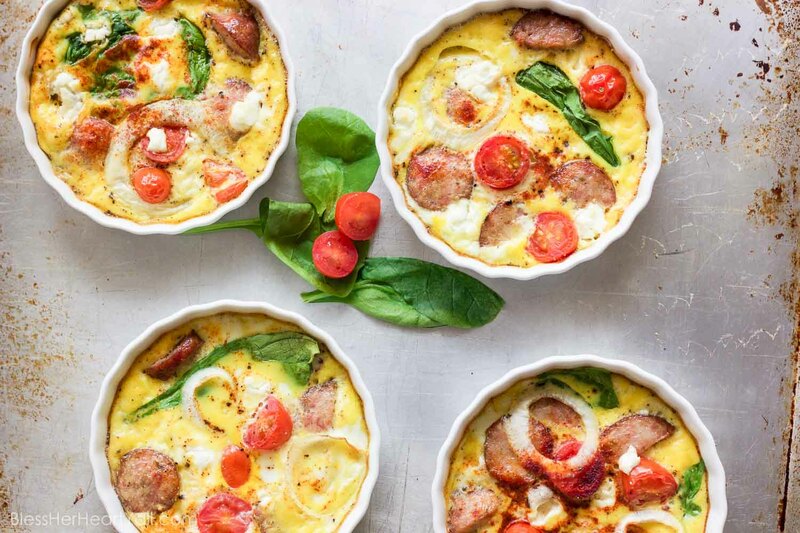 Inside each of the 4 ramekins, toss in equal parts of the goat cheese, spinach, tomatoes, onion, and sausage. Pour in 4 equal amounts of the egg mixture into each ramekin. Sprinkle with paprika, and then bake for 20-25 minutes, or until the eggs are fully cooked and the bakes' edges are a nice golden brown. Put the ramekins on a baking sheet before you load them up with ingredients. It’s much easier (and less spillage occurs) when there is this easy transport vessel to take them from counter top to oven. If you don’t have ramekins (I didn’t until I was 31 years old) it’s no big deal. 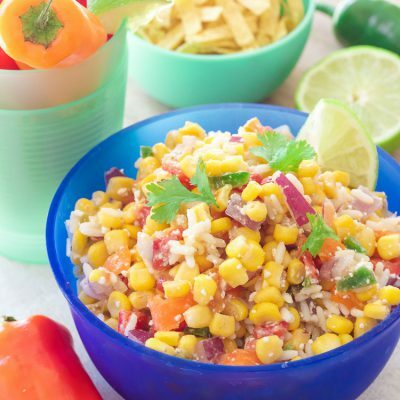 Muffin tins work great for this recipe. BUT, because of the shape difference between muffin tins and ramekins, you may need to adjust your cooking time a little longer if you use the muffin tin option.